Indian Guy Meets Chinese Guy. They Have Nothing In Common. Or So They Think. Manoj, who lives in a small town in India, has just won a trip to Singapore, or as he calls it ‘Singapur’. The city is vast and charming and he wants to see it all. Problem: He can’t speak English. 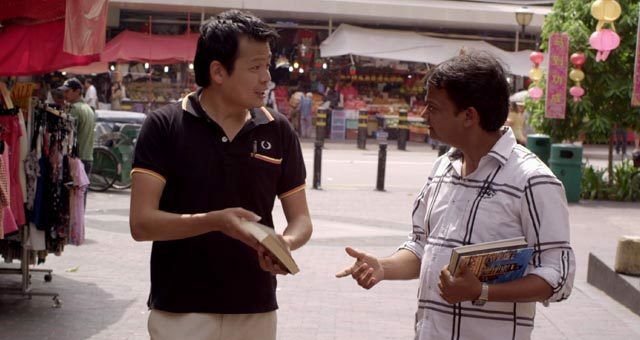 He meets a Chinese man Xin, whom he mistakes for his tour guide. 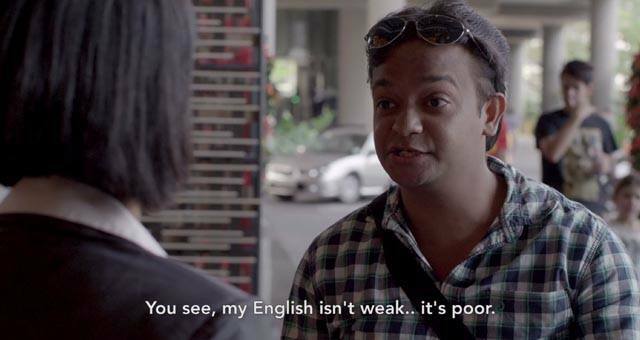 In a comedy of errors, Xin too mistakes Manoj for his Hindi teacher. Amidst all this, Xin gets a phone call, which angers him. The two men talk about it. And just like that, they discover that despite the differences in language, race, colour and culture, they are bound together in something universal. Watch ‘The Pool Man’, another film about an unlikely friendship between two very different people. Watch A Friendship Disintegrate Slowly, Painfully. But It Doesn’t End. Two Girls In A Pit. But It’s Not What You Think… It’s A Merdeka Film!